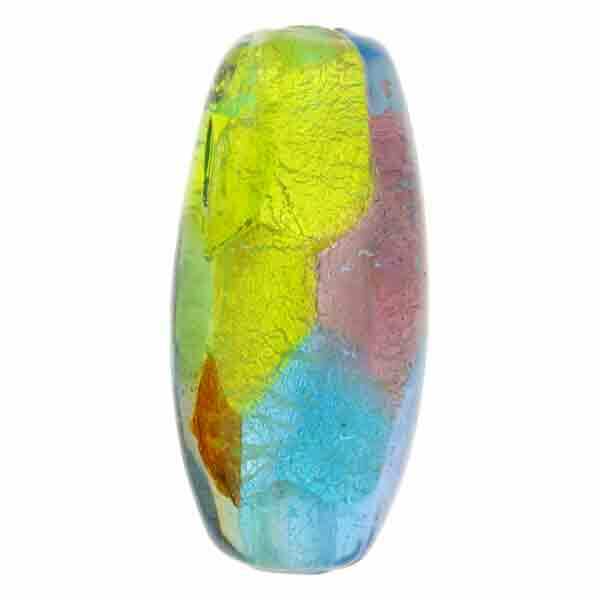 Murano glass bead in a multi-colored patchwork style oval approximately 28mm in length and about 15mm in diameter (larger than the Multi-Oval-23). 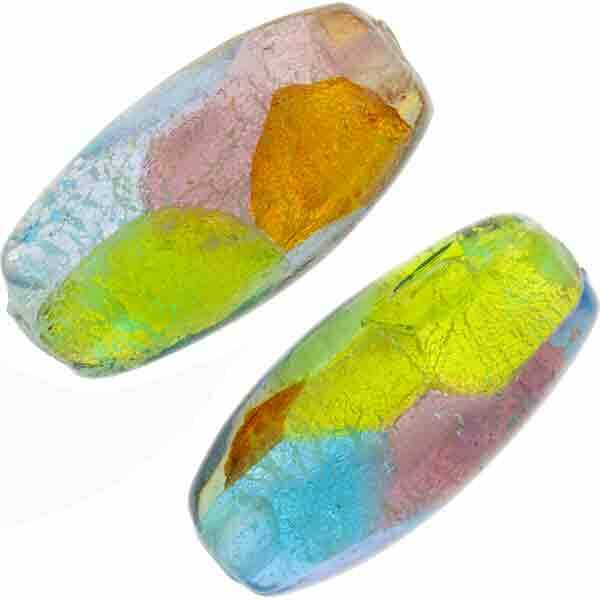 Transparent Moretti glass encases sterling silver foil with predominant colors of green, topaz, aqua and amethyst. The price is for 1 bead. Multiples are shown to demonstrate variations.